Last weekend I was in Yosemite. I know it is a long way from Downey, but it is an incredibly beautiful place. We had one perfect sunset while we were there. 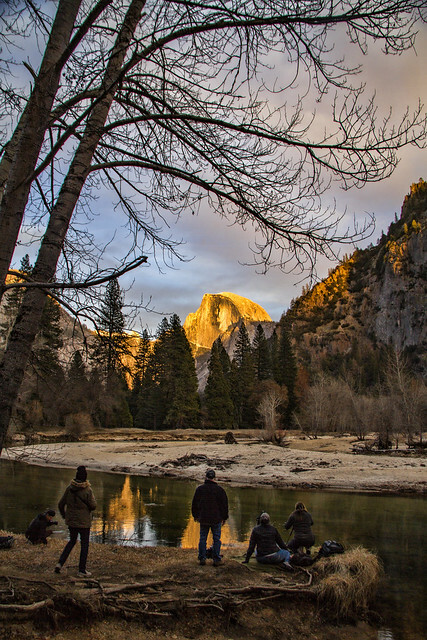 Here you can see Half Dome lit amazingly by the setting sun. It is almost as if the granite were on fire. As you see, we were not the only ones enjoying it. "Appreciate small moments of happiness for they are so important."